Intended Audience: Anyone who is looking to become, or renew as a CPR Instructor. We will certify individuals to teach American Heart Association CPR, AED and First Aid courses and offer Alignment/Employment information. See below for full course description. Description: Becoming a CPR Instructor is a fun and rewarding position. All candidates must have a current Basic Life Support (BLS) CPR certification card, if you do not possess this we can assist. We will provide access and training for all materials needed to become CPR Instructor certified with the American Heart Association, align with our Training Center, and the resources to become a successful instructor. 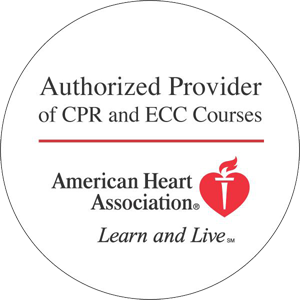 You will be responsible for instructing, teaching and facilitating any number of American Heart Association CPR and ECC Training Courses. You may use this training to teach classes for your own company or possibly to teach with our wonderful organization. Please contact us prior to registration if you have any questions.